What comes next in D.C. in the World of Trump? Representative Chris Collins of New York, an early Donald Trump backer, won a powerful role as the main congressional liaison to Trump’s transition team. WASHINGTON — From the boardroom to the campaign trail, unpredictability has been Donald Trump’s defining trait. Trump’s presidential transition has been similarly marked by unconventional twists and turns. The reality-TV-style auditioning of key Cabinet candidates. Dissonant signals on where he stands on climate change and the use of torture. Twitter blasts at odd hours about the nation’s nuclear arsenal and foreign policy. Kanye. His unpredictability — coming after a campaign promise to shake up Washington — is roiling Washington’s lobbyists and intelligentsia, handing those whose business it is to shape the policy-making process in Washington the toughest job they’ve had in decades. Most people in Washington didn’t expect Trump to win. So the real estate mogul’s surprise victory sent many lobbyists scrambling to make connections and build relationships with Trump’s close advisers. Donald Trump responded to a North Korean report that it is preparing to launch an ICBM. And scramble they must. He has outlined an ambitious legislative agenda but not been clear on the order of his priorities or policy details. Adding to the unknowns: his incoming administration is not made up of the usual suspects. “He’s completely upended the political establishment,” said one Republican lobbyist with ties to Trump’s inner circle. The people who have had a lock on Washington’s levers of power for the last two decades, many of them alumnus of the Clinton or George W. Bush administrations, are now “outside looking in,” said this lobbyist. 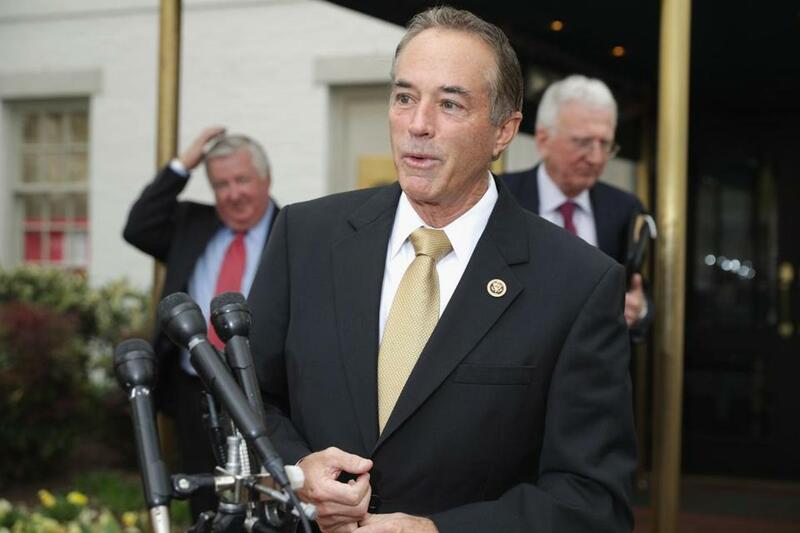 Little-known rank-and-file lawmakers like Representative Chris Collins of New York, the first member of Congress to endorse Trump who is now serving as the main congressional liaison to Trump’s transition team, are suddenly ascendant power brokers. Meanwhile, Trump — known for prizing loyalty — has complicated relations with many of the GOP elite who were less enthusiastic about his candidacy, including House Speaker Paul Ryan. And then there is Trump himself, the consummate Washington outsider who has never held elected office before storming the highest office in the land. 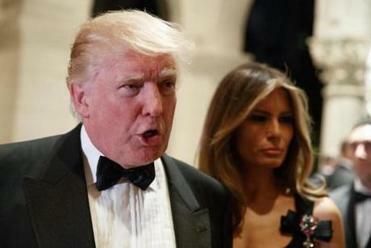 He arrives in Washington with few of the well-established ideological beliefs that typically serve as guideposts to those trying to figure out what a president will do. A few days later, Trump — who has previously called global warming a “hoax” — tapped a climate change skeptic, Oklahoma attorney general Scott Pruitt, as his nominee to lead the Environmental Protection Agency, a move widely interpreted as a signal Trump wants to roll back climate policies enacted by the Obama administration. On the campaign trail, Trump vowed repeatedly to bring back waterboarding as an interrogation technique for terror suspects, which many critics consider torture. But at the end of November, Trump indicated that a conversation with retired Marine Corps General James Mattis had affected his thinking on the issue, though it remains unclear whether he will seek to revive the banned tactic. “He said, ‘I’ve never found it to be useful,’ ” Trump told The New York Times. “I was very impressed by that answer.” Trump later named Mattis as his pick for defense secretary. Trump “is more than most presidents . . . influenced by practicality, and how does it move him,” said John Feehery, a Republican strategist and president of QGA Public Affairs, a prominent lobbying and communications firm whose clients include AT&T and US Steel. Feehery and other lobbyists say this increases the importance of crafting the right narrative around issues they are pushing for clients, and on building public support as opposed to working behind-the-scenes connections. Warring power centers have emerged within Trump’s fledgling administration, further complicating efforts to devise what the new administration’s policy priorities will be — since it’s obscuring who will control the agenda. Will it be Trump himself, despite the fact he showed little appetite for policy details during the election? Will it be his adult children? His incoming chief of staff, Reince Priebus? Or maybe Vice President-elect Mike Pence? Some things are becoming clearer with time. The American Enterprise Institute’s Strain said Trump’s Cabinet picks telegraph in broad strokes likely policy priorities. His choice of Georgia conservative Tom Price, one of the fiercest critics of the Affordable Care Act, to lead the Health and Human Services Department signals the president-elect is serious about his pledge to repeal that law, said Strain. Likewise, picking Bush administration veteran Elaine Chao, a savvy player of the Washington game, as his nominee to be the next secretary of transportation lends heft to his promise to push a big infrastructure package. But Trump passed over a major critic of the 2010 Dodd-Frank financial regulations when naming his Treasury secretary nominee, suggesting that rolling back that law “is lower on the list of priorities,” said Strain. Still, the actual details of Trump’s proposals remain murkier than usual. George W. Bush campaigned on wanting to enact a big tax cut. When he took office in 2001, “people knew what the basic contours of that were,” said Strain, who was critical of Trump during the campaign. “We do not have that with the president-elect. We do not have a defined starting point” on his tax proposal, among others, he said. Trump has repeatedly sown confusion about his tax plan, most recently when his Treasury secretary pick described features that conflict with the proposal Trump outlined during the campaign. The uncertainty extends beyond Washington’s influence class and think tanks to those charged with steering the economy. Federal Reserve chairwoman Janet Yellen said last month that members of the Fed’s policy-making committee discussed Trump’s economic plans during their most recent meeting in Washington. The sheer ambition of Trump’s policy agenda adds to the uncertainty, Strain said. Immigration reform, repealing and replacing the health care law, a major tax code overhaul, and new infrastructure spending — each one is a big ticket item that will likely consume healthy amounts of time to negotiate and pass through Congress. And all are likely to be far harder to accomplish than many lawmakers and commentators are currently acknowledging, some observers say. Congressional Republicans are not united in how — and when, and if — to replace the Affordable Care Act. One faction wants to just repeal the law and leave it at that. Others believe Republicans need to replace it with something, but there’s also debate over whether the GOP can pass legislation repealing the measure now but have its demise delayed a few years to buy them time to devise a replacement program. And for many legislative items (though probably not all of the health care law repeal), Senate Republicans will need to gain the support of several Democrats for passage, further complicating matters. The GOP will control 52 Senate seats this year; most bills require a super-majority of 60 votes to succeed. This is where Trump’s reputation for being a deal-maker could come into play, and some insiders are betting that his business background and non-ideological sensibilities will lead him to try to make deals across the aisle. “[D]on’t overlook his ability to forge unconventional alliances,” CGCN, the lobbying firm, advised clients. Still, as the first person to win the presidency with no elected or military experience, how Trump’s business skills will translate in the political context, and how his volatile temperament will respond to the give-and-take of politics, remain two big unknowns. For now, much of Washington is in wait-and-see mode, confident that some of these questions will shake out in the early days of the Trump administration but also bracing for a more tumultuous four years than this town has seen in awhile. For some, it’s a refreshing change.